The best travel writing is a book or article that makes you get off your backside and actually visit the place. Last week I took myself off to Bruges for the day. I didn't actually go to Belgium, you understand. Let's say, it was more of a virtual trip. A quiet day started well by reading from cover to cover a new book : Around Bruges in 80 Beers by Chris "Podge" Pollard and Siobhan McGinn. This is an updated, second edition and covers that famous Belgian city with a full colour page on each bar, restaurant or shop coupled with a beer to drink there. As in the London edition of the same series, all of the favourite bars and beers are covered plus many others that may not be so well known. It gives an excellent flavour to a great city. Do not travel without this essential volume if visiting. You can buy it here where you can also find out more about the beer tours of Belgium that Podge leads. I enjoyed the book so much that I really wanted more. So I nipped down to Waitrose to buy some mussels, steamed them in some wheat beer and settled down to watch the movie "In Bruges" that I had sky plussed the week before. A crap film but set in a wonderful location bringing back good memories of the beers and bars of the city. The nearest I could get to a local beer without a special trip to the bottle shop was a Biere de Garde from Lost Abbey - California (being near enough to Belgium for me) and a bottle of Bracia from Thornbridge Brewery. The Biere de Garde was a traditional farmhouse brew with a lovely malty sweetness and a spicy finish. 7.5% bottle conditioned in a wire corked 75cl bottle - a real mouthful. The Bracia is a dark bitter 9% beer infused with Italian chestnut honey. It has a rich flavoursome mouth feel with coffee, chocolate and licorice flavours and a warming, alcoholic aftertaste. If you see it, buy it - you won't be disappointed. Even if you are not planning a trip to Belgium, with a cover price of £7.99, Around Bruges is the cheapest weekend away you will ever have. As part of Cask Ale Week, on Thursday 9th April, Tom Madeiros, chief brewer at Twickenham Fine Ales, will be visiting The Willoughby Arms in Kingston for a 'Meet the Brewer' evening, from 8pm. 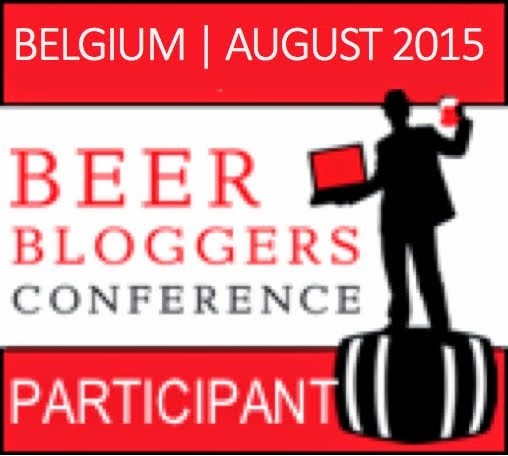 No charge for the event apart from your beers. Everyone is welcome. Thursday 9th also sees a Brodie's Brewery Evening at Leyton Orient Supporters Club, where the full range of Brodies beers from Sweet William Brewery are expected to be available. The Willoughby Arms will also be participating in the 'World's Biggest Toast' on Saturday 11th April. Be there for the toast at 7pm followed by a disco, raffle etc. Well, that's it. I am no longer CAMRA's Regional Director for London. After four and a half years in the job, I feel it is time for a change and I did not put myself forward for re-election. Kimberly Martin was last night elected as CAMRA's new RD for the coming year. I wish her well. This blog will continue - at least for the time being - I might not be able to bring information from within the Campaign nor act as a CAMRA spokesman, but hopefully I will be able to break free from my CAMRA shackles and bring some interesting commentary on beer, breweries and pubs in and around London. There is enough of a following to maintain the blog but I will easily see if readers drop off if my musing are less than interesting. I am also the CAMRA Brewery Liaison Officer for Sambrook's Brewery so, apart from their web-site, this will continue to be the place to find their news and events. I now turn my attentions to other things. I will now have upwards of 20 hours a week spare so if anyone can find me a similar job that involves visiting pubs and drinking beer, I could be tempted. Heads up for some Sambrook's Brewery events. Tonight, 24th (sorry, late notice) sees the guys down at The Earl Ferrer in Streatham for a meet the brewer evening from 8pm. Saturday, 4th April will be the official brewery launch day with open house from 2pm for tastings, meet and greet, and brewery tours. Everyone is welcome. The following Wednesday, 8th April will see them spreading their wings into South East London to have another meet the brewer evening at Hoopers in SE5 at 8pm. Finally, the bottled version of Wandle Ale has also just been launched in bottle conditioned form. It should be available at all of the above events together with the cask version. 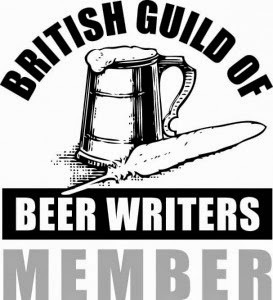 At least one of the loyal visitors to this page will be delighted to hear that one of the acts at this year's GBBF will be the Ukulele Orchestra of Great Britain. Sorry, I had to get rid of that annoying Axe the Tax fruit machine calculator. If anyone has yet to sign the petition and lobby their MP, the Axe The Tax site can be reached here. It takes a leap of faith for a village pub outside London to advertise in London Drinker magazine. There are over 5,000 pubs in London so why would one want to travel any distance to visit further afield ? One such pub is The Bull at Horton Kirby, Dartford. The pub hit my radar a month ago when some friends visited on the strength of their LD advert during their showcase of Thornbridge beers. Good reports were received, so last week we decided to take another visit, taking some copies of the magazine, to enjoy their showcase of Dark Star beers. The pub is a half hour bus ride from Dartford (#414) but I have since discovered that the pub lies about a mile from Farningham Road station - reachable out of Victoria - for those who are fleet of foot. Six Dark Star beers were racked up on a small stillage with four further beers available from the bar and all those that I tried were excellent. The credit crunch food menu priced lunchtime meals at a bargain £3 for fayre such as Chilli, Goat Curry and Bacon Pudding. One of the brewers from Dark Star was coming that evening for a talk but alas we had to leave for the last bus at about 6pm having spent the afternoon enjoying the range of beers. The next brewery showcase is Brewdog next month from 2nd to 5th April when we are promised cask delights such as Trashy Blond, Zeitgeist, Punk IPA, Riptide, Paradox Arran and Divine Rebel. In these difficult economic times, pubs have to make an extra effort to make a living. Garrett at The Bull is certainly stepping up to the plate and his efforts are very worthy of support.